This is my aunt's (my father's younger brother's wife) pineapple tart recipe which my parents rave about it every year whenever they see me making pineapple tart even though my aunt had stopped making many years ago. After trying now I know why my parents like it so much. 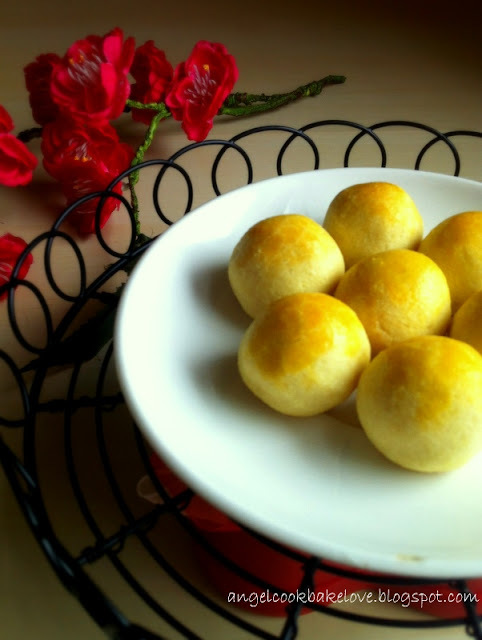 The pastry itself is very fragrant and buttery with a light crisp when bite on but after which it kind of blend together with the pineapple paste and melt in your mouth. This is the type of pineapple tart pastry we like. This recipe is definitely a keeper. Highly recommended! Sift (C) together 3 times (my aunt specially mentioned must sieve 3 times but being lazy I only sieve 1 time: P). Use the lowest speed of the mixer to fold in (C) in 3 batches then use a rubber spatula to scrape the bowl and fold in any remaining flour (do not over mix). Wrap dough with cling wrap and chill for 30 mins to firm it up. 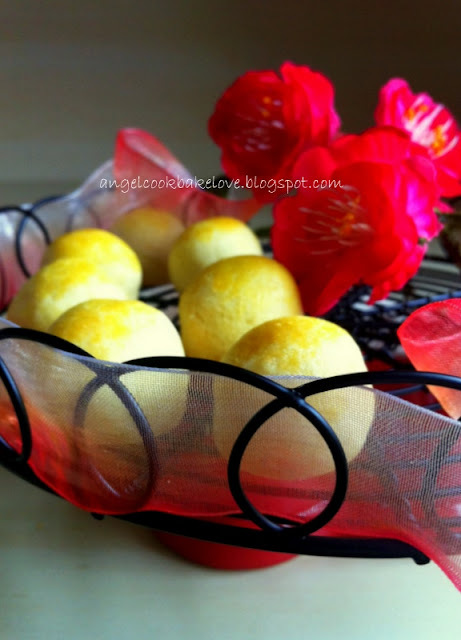 Take ½ level tbsp of dough, roll into ball, lightly flatten and wrap with one pineapple ball. (Suggest keeping half of the dough in fridge while wrapping). Arrange on lined baking tray or use small paper case to hold it. Bake in preheated oven at 180C for about 8-10 mins, upper middle rack. Take out from oven, apply egg wash and return to oven to bake for another 5-6 mins till cooked. Only start to bake the first tray while you are almost complete wrapping for the second tray. When applying egg wash for the first tray, pop the second tray into oven. When the second tray is done for the first round of baking, return first tray to oven after egg wash is done. 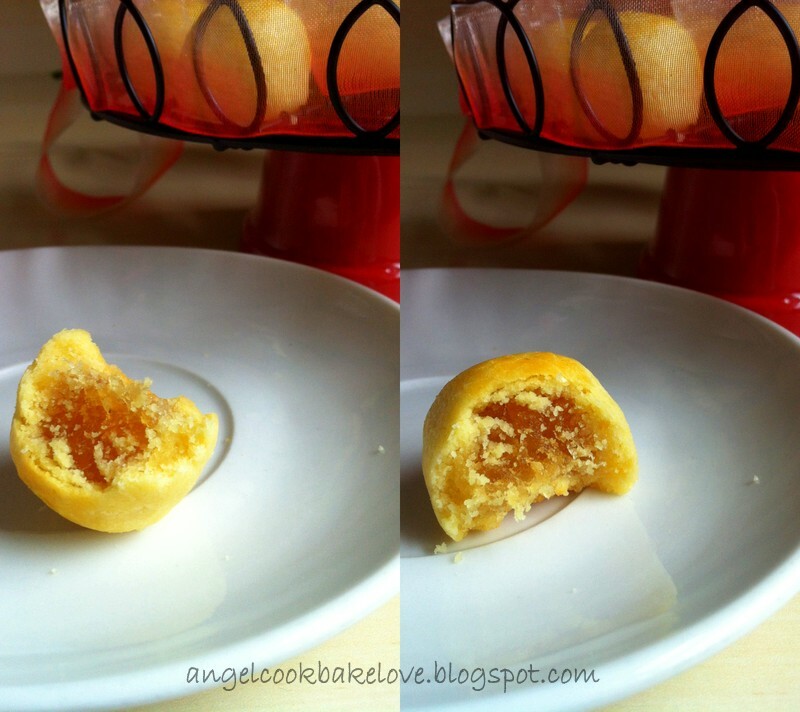 I made my own castor sugar by blending fine sugar in a blender. I try Singlong brand of pineapple paste this year. It is sweet and sour type and fibrous which I like. 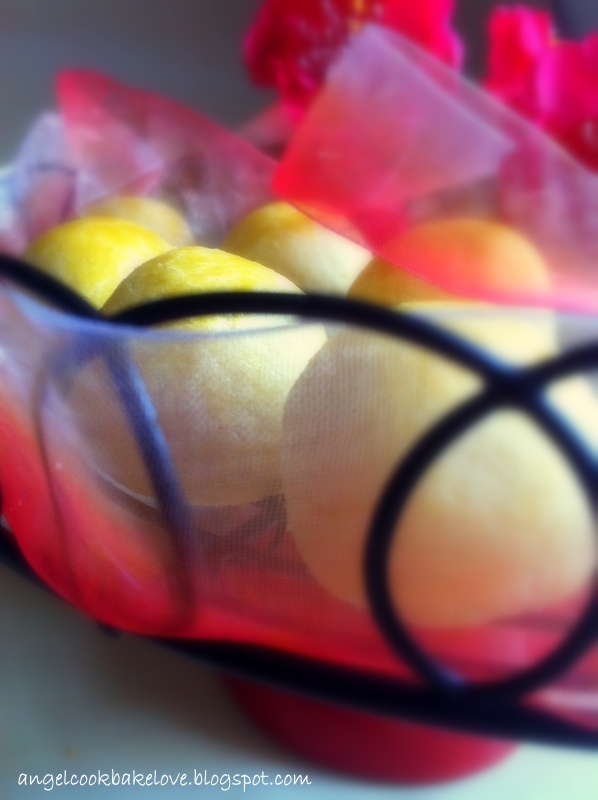 I do not need to add any lemon juice to adjust the sweetness. Instead, I rub in little unsalted butter. This is another “secret ingredient” to make store-bought pineapple paste taste better. The baking temperature and time will also affect the texture. If you like the pastry more firm and crispy, bake it at higher temperature (180/190C), if you like it soft bake it at lower temperature. I can smell the rich buttery pineapple tart here:D Delicious! 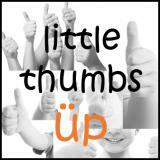 I am happy to got to know about Little Thumb up event thru you and link up with it. I hope I can join the future events as well. I'm glad that i found your blog! This recipe is amazing! Looks delicious! Thanks for dripping by my blog and your lovely comment. Your pineapples tarts look so nice and golden,,Oh, your auntie also using condensed milk, taste nice right? I would like to take this opportunity to wish you a Happy CNY and Gong Xi Fa Cai! Thanks for your compliment. My aunt uses only 1tsp I think more for flavoring. Wishing you a prosperous CNY too! I am so glad to have you linking your post with our Little Thumbs Up event. Love your golden and delicious pineapple tArts. I have tried out your recipe today and its like what you mention 'very additive' :p I made mine into open face flower shape pineapple tart. Will share in my blog soon :)Thanks for sharing. Glad to hear that you like the recipe. Looking foward to reading your post. I think the condensed milk gives a nice milky taste, I do think that it plays a part in the overall taste but there is no harm if you were to skip it. 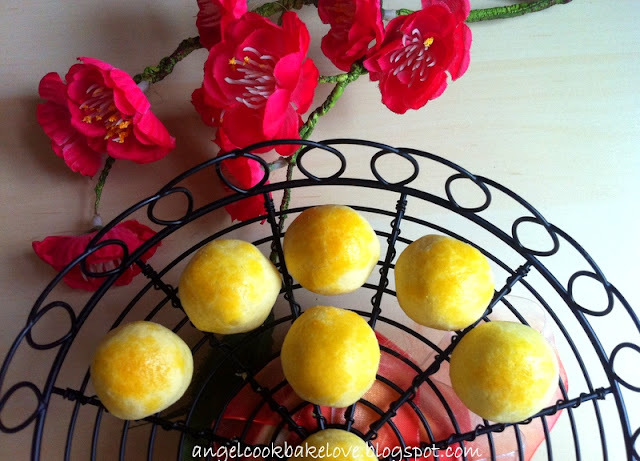 Could you tell me whether can I use this pineapple tart recipe to make open tarts instead of closed tarts which were featured here. "Gong Xi Far Cai" 2014.